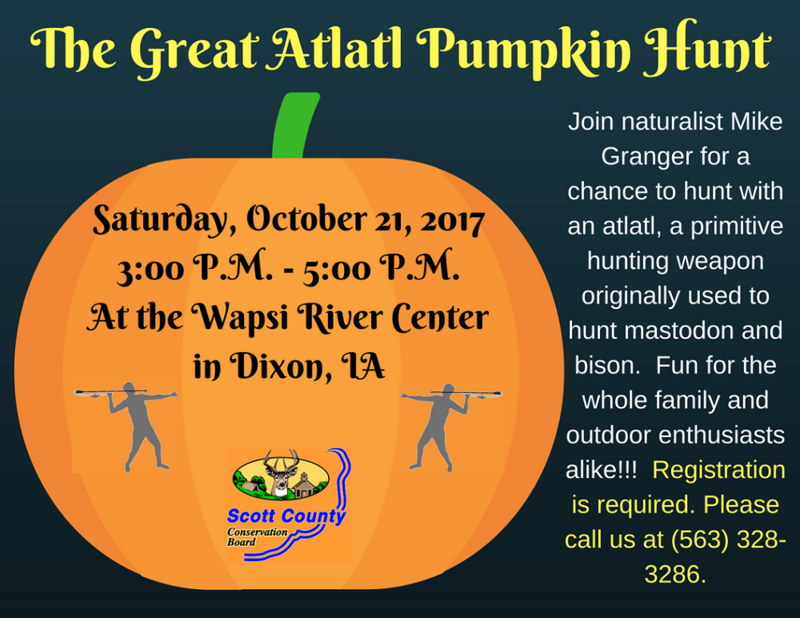 Join naturalist Michael J. Granger for a chance to hunt with an atlatl, a primitive hunting weapon originally used to hunt mastodon and bison. Large target pumpkins and real pumpkins will be set out as targets. Fun for the whole family and outdoor enthusiasts alike!!! Please call to pre-register.